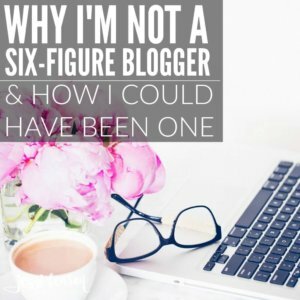 You are here: Home / Blogging / Why I’m not a six-figure blogger. Why I’m not a six-figure blogger. If you’re on my Grow Your Blog email list, you already know what my income reports are every month. You know that yes, I do earn a full-time income from my blog, but you also know that no, I am not an “elite” blogger earning upwards of $100,000 or more a year. I’m not a six-figure blogger. You see, the thing is that most of the six-figure bloggers I know make that kind of money because they either sell, or promote via affiliate links products and services geared towards earning money blogging. I mean, look at Michael Hyatt and every other big-name blogger you follow. The thing is that BlueHost approached me last year, offering to give me $90 per sign up. Per freaking sign up! Holy freaking cow that’s a lot of dang money. I mean, all I’d have to do is is sign up a 1,000 folks and I’d earn $90,000 just from promoting BlueHost. And that’s the thing, that’s the secret to a lot (certainly not all) of the six-figure bloggers out there. They promote products and services geared towards blogging and earn a very handsome commission. Before you know it they are in the elite arena. I have never used them before and they have very mixed reviews so I couldn’t trust their quality of service. I would end up just chasing the money and forgetting the real purpose of my blog. I started The Budget Mama to help others manage their money well and yes, a part of that is sometimes generating additional income. I didn’t start my blog with the intention of earning six-figures a year and if I become blinded by the money then I’m compromising my own integrity and that’s just not okay in my book. So should you listen to the other bloggers? Here’s the thing, many of the bloggers that promote BlueHost are my personal friends and every single one of them has personal experience with BlueHost. I do not. But it is hard to tell who is being honest and who is “just in it for the money”. These are some reviews done by my personal blogging BFFs so if you’re trying to decide if BlueHost is the hosting company you should go with, read one of these before finalizing your decision. Am I Doomed if I don’t Promote BlueHost? Nope you’re not doomed if you decide like I did to not promote BlueHost or any other affiliate that you’re not 100% in love with. In fact, I think it’s better for your own credibility that you only promote products and services that you can stand behind. 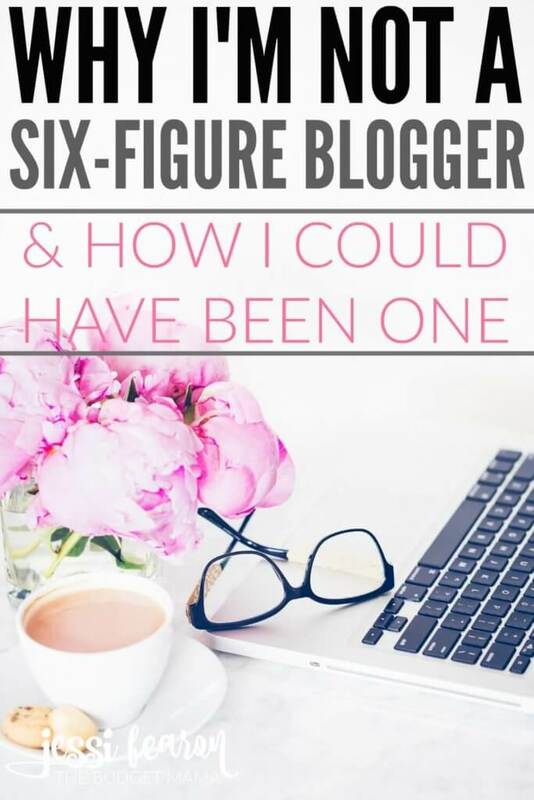 But know that it may take you longer to reach that six-figure status of blogging and personally, I think that’s perfectly fine. In fact, I believe that the more you preserve and the slower the growth the better. I’m a firm believer in creating your own products and services. My own products have garnered me more stable and reliable income than any affiliate could ever offer. The thing is, an affiliate could just decide they no longer want to offer a product. Take BlueHost from above – I know that they’ve changed their commission rates many different times. If a blogger puts all their eggs into the BlueHost (or just one big affiliate) basket and then BH decides they’re done with affiliates or they decide to cut commission, guess what? Your income will suffer greatly. This is why I believe that you need to have a healthy mix of your own products/services, affiliates, and other income sources (ads, or another 3rd party stuff). The majority of my income is earned through my own products which breaks out into my course, Real Life Money Plan being the highest earner, followed by my 2017 Budget Planner, followed by my book Real Life on a Budget. Ads make up the next largest chunk of my income….which drives me crazy and I hope to one day get rid of them completely. 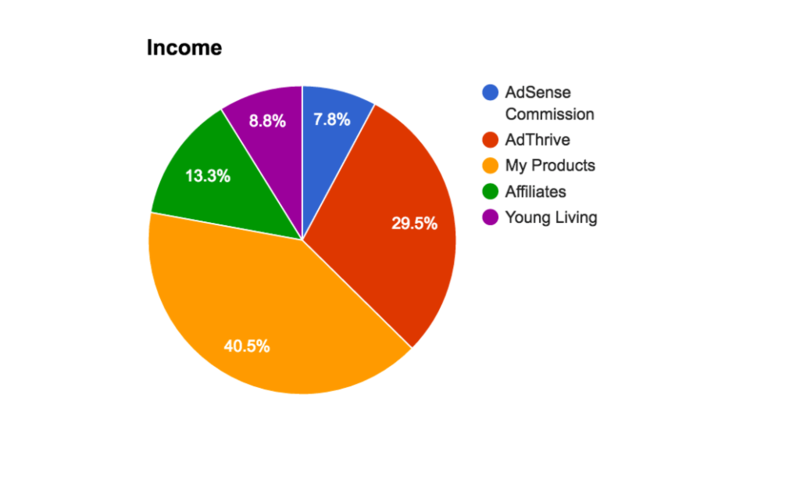 Affiliates in October were a small amount of my overall income – some months they’re more but this is a pretty average look at how affiliates play out for me. How do you earn the majority of your blogging revenue? I have always wanted to write a post like this, but since my readers aren’t bloggers I felt it would be a waste of a post. Thanks for writing what many of us other bloggers have been feeling for way too long! Just starting out blogging, I’ve already seen this very clearly. I don’t have or want BlueHost and I want any future income to be related to my purpose and not just for the sake of making money. Thanks for the inspiration to keep your purpose and create amazing things that people love. thank you for saying this! I love your slow but steady growth perspective. I find it refreshing and inspiring as a newbie blogger. Thanks for keeping it real. Thank you, Jessi, for this honest perspective that so many of us feel but haven’t said! I, too, have noticed that more and more bloggers are offering blogging advice and promoting blogging affiliates. It’s frustrating, at times, to see how much others are making by promoting blogging things BUT like you said, we need to remain true to our audiences. I’m not going to promote things that aren’t relevant to my mom audience…and I won’t promote things JUST to make money. Yes, I do want to earn an income, but I want to serve more. Thanks for this great reminder! Thank you for your honesty Jessi! I have debated promoting Bluehost as an affiliate because of all the mixed reviews I’ve heard on them. While I have never personally had any issues with them, I know many people have so it makes it a struggle on whether to recommend or not. I don’t want to lose any readers just to make easy money! Ya know, I’ve been very suspicious of the whole BlueHost thing. So many elite bloggers are printing and then there are regular average bloggers saying their service stinks. Thanks for keeping it real. I’m like you, I only promote products I truly love. I don’t even do ads because I don’t like not being able to,control what is shown in my site. I’m starting to earn income from blogging tools i love. I’ve come to realize that it is in line with my mission to help busy moms and chronic illness patients achieve their dream life and to celebrate life and thrive with chronic illness. Good post. I get very leary of people who are making $30-50k per month on BlueHost referrals. It seems a little ‘too good to be true’. Besides, if they’re paying $90 per referral, then what are the people paying that sign up? My blog is small but I pay like $60 per year for hosting services. So if people are really flocking to BlueHost, it makes me question why, especially in light of the issues that many seem to report. Thanks for keeping it real. Sadly, many don’t. Fun post! I’m new to your site. Perhaps the key is to simply find more products you really enjoy and use that fit synergistically with your content? I wrote for three years between 2009 – 2012 before I started finding great products that provided solutions to search readers. A one two solution of content advice and product tools. It’s worked pretty well. The key really is to generate lots and lots of traffic that centers around your own personal philosophies. Write the message first, and then find a potential product that fits, rather than the other way around. Blogging about blogging looks to be a great business. But it’s personally not my cup of tea. I’ll definitely writing about some strategies after being online for almost 8 years, but it’s not my core. PS: Not all is what it seems with the income reports. I’d like to say something, but before I do, let me say, I run a blog hosting company myself, I won’t use the name of the company for conflict of interest or offending someone. There are many “hosting companies” out there. I’ve been in the business over 20 years. A “host” to me has two meanings. There’s the company that puts your site online and as long as the domain resolves, they feel as though they have done there job. Then there’s the other type, the kind that manages your site, helps you when WordPress throws it’s cookies, a plugin has a meltdown and causes an issue, or something happens. Those hosts are what I call a service provider, and that’s how I do things. It’s not about the number of sites we host, it’s about the number of HAPPY customers we have. We still reward customers for sending people over. A blogger who feels appreciated, and the host wants to see them succeed will do more than just one who’s a number on a paper. Great article on staying true to you.